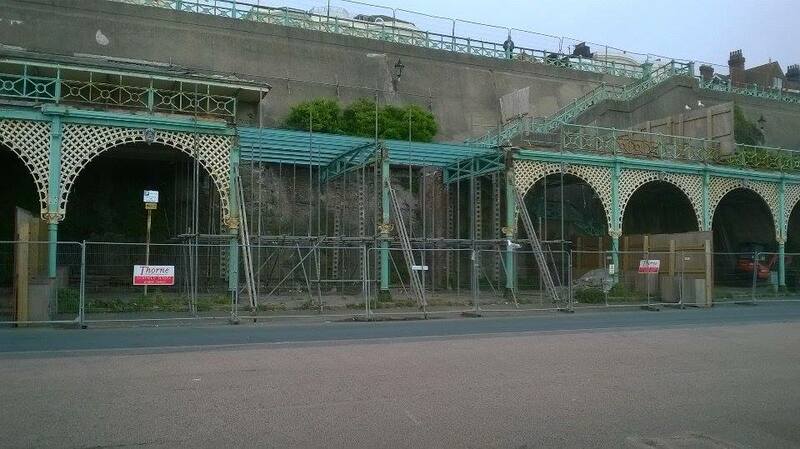 A four-metre barricade is being put up around the decaying Madeira Terraces today as the city council warns they will be closed “for many years”. This entry was posted in news and tagged Madeira drive. Bookmark the permalink.